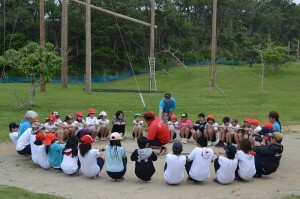 Grade 6 went to “Tsutusji Eco Park” as a field trip. Our students wrote a short essay about that. We would like to introduce some of them. ※Teachers usually correct grammar and the sentence structures. However, here, we would introduce the original essays written by students. 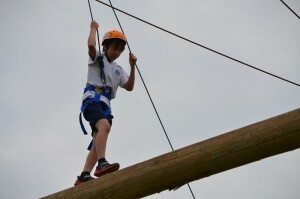 My grade 6th grade went to trip in Eco Park in Higashi. 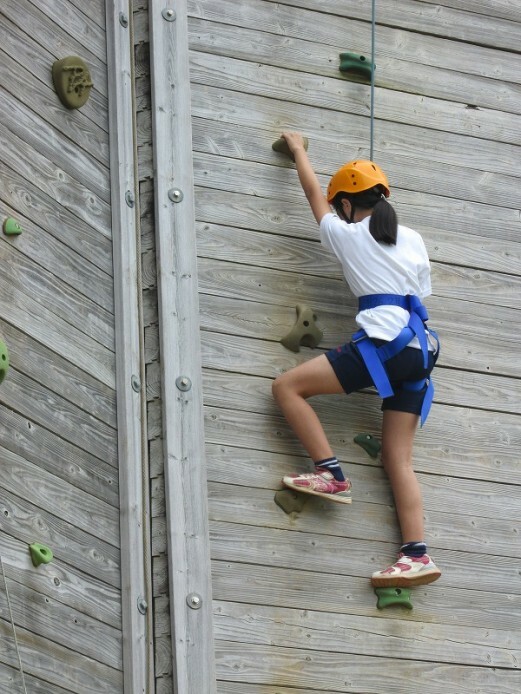 When we arrived at there everyone was surprised because the ground was big and there was a huge climbing wall and tall pole walk. At first, we made our teamwork strong by playing a game with rope and river crossing. We could do it so fast so our project adventure teacher was so surprised. After we made our teamwork, our adventure teacher taught us how to wear the thing that will support us. 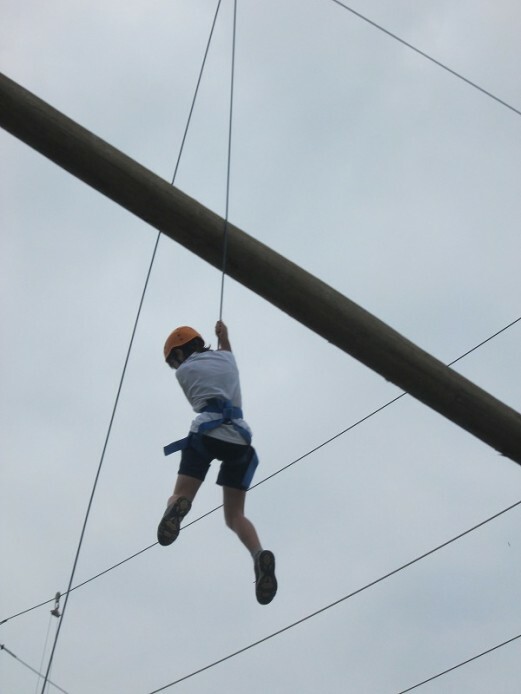 We made our teams and started climbing the climbing walls. I was scared so I couldn’t go to the top but, I tried until I reached my goal. Next we did pole walk. My feet were shaking because with my nervous but I tried very hard so I could go until the top and I could walk in the pole. I was very happy that I could go until end and after I go down, I thought I was great because said that you did a great job. We ate lunch after that. It was yummy because I ate after I challenged. Like in Eco Park in Higashi’s rule, I want to make people happy by saying good thing and I don’t want to say bad thing to other. I learn that if we challenge and say good thing, you can do it so I want to make my life good by doing this experience from today.